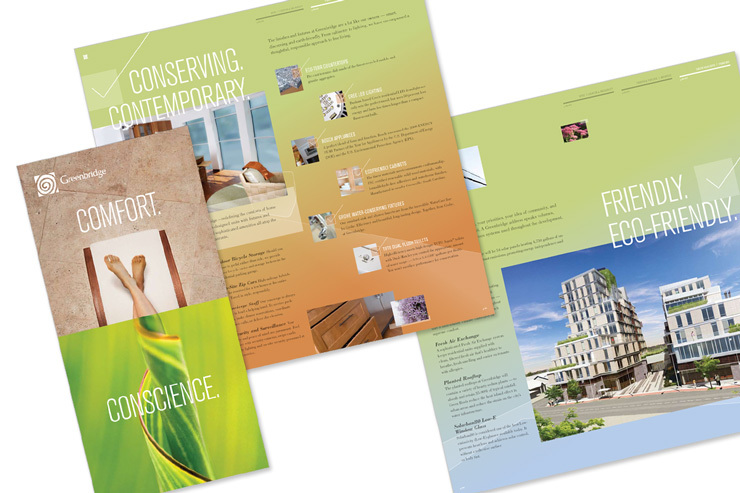 Develop Greenbridge multimedia campaign including advertising, brochures, posters and collateral to attract potential buyers to their new “green” development. Potential buyers interested in buying into a cutting edge green development in the heart of Chapel Hill, North Carolina. Provide a highly attractive, enticing communications campaign spelling out the many amenities and services offered at the new Greenbridge condominium development and sell the lifestyle advantages to well-heeled empty nesters.